Incudes: Tyres fitted and balanced. Actual Tread pattern may differ from the Photo. variants. Dont accept anything less! wheels for high performance cars not wheels for vans! Using the highest quality materials, specially engineered for the load ratings of modern vans. And not only that, look at the PRICE! large buying power as the UK's leading Van accessories Warehouse we can supply these wheels at the above price. And not only that but they also come with 12 months limited warranty! Note** These tyres allow a maximum Axle Load Rating of 1900kg. Please check that this is sufficient for your needs. Excellent Quality, Load Rated, Road Legal, Precision engineering - Available Ready to Fit! Just look at the pictures to see the quality and the final effect! Supplied with 12 Month Limited Warranty. There was a time when alloy wheels for vans didn't exist. Then due to Load Rating rules only extremely expensive or ugly wheels with large thick spokes could be found. 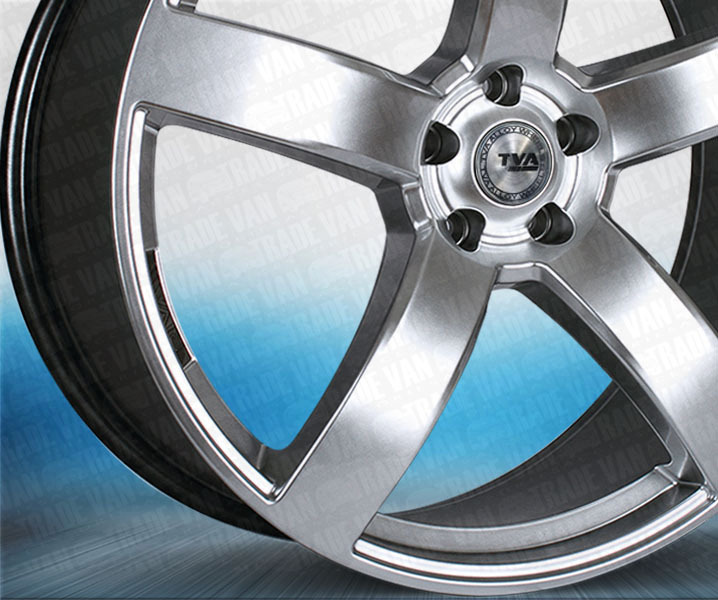 But now, thanks to advances in manufacturing techniques and the dawn of quick global sourcing we at TVA Styling are able to present the highly desirable range of TVA alloy wheels. *To maintain high quality finish regular cleaning with non aggressive detergent is essential, especially when exposed to road salt. 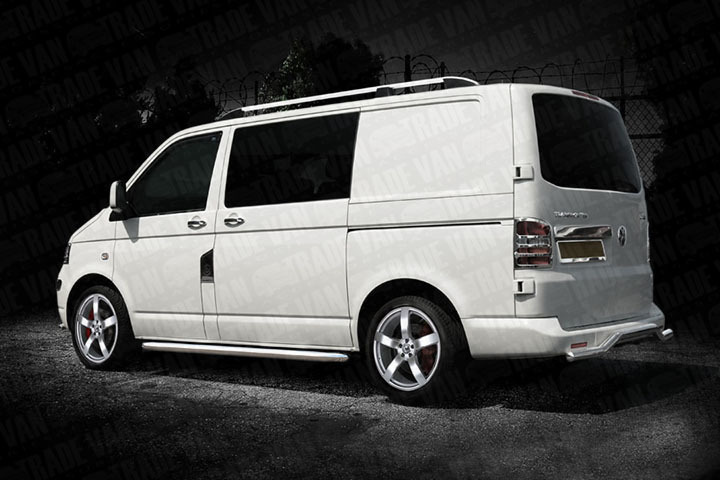 Click the button below to add the VW T5 Transporter VIPER 20" Alloy Wheels Hyper Silver Set of 4 to your wish list.